Here's what you need to keep you exercising. 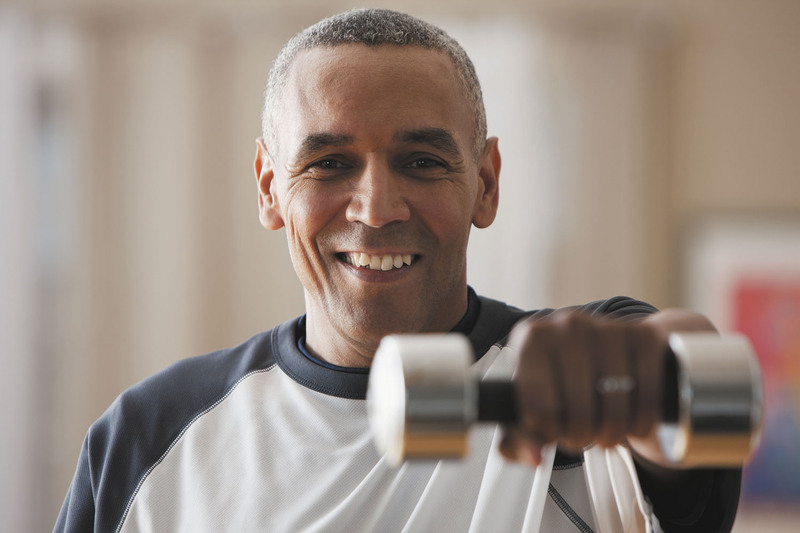 Perhaps the biggest physical challenge for older men is maintaining muscle mass and strength. On average, men can expect to lose up to 5% of their muscle mass each decade after age 30. But regular strength training can slow that loss and even increase muscle mass into your 90s, according to Dr. Steven Makovitch, an instructor in physical medicine and rehabilitation at Harvard-affiliated Spaulding Rehabilitation Hospital. "Increased muscle mass has benefits beyond physical strength, too," he says. "Staying fit can reduce your fear of falls, increase confidence, and help you sleep better." Ask the doctor: Why am I getting shorter?